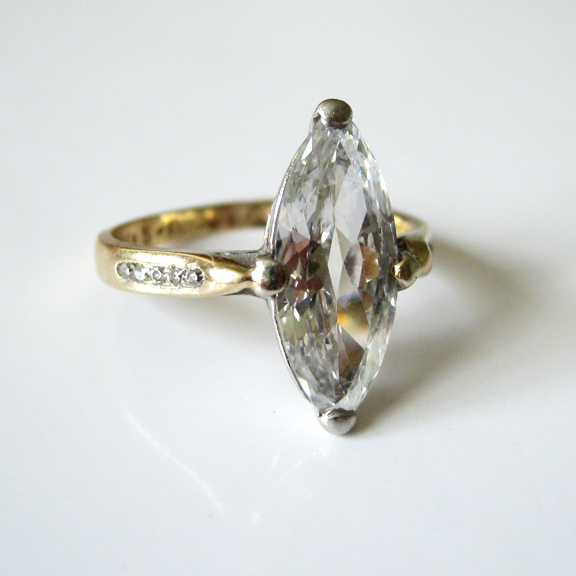 The original owner of this antique rose cut diamond was married in 1921. It stayed in the family and passed to a new bride in the mid-eighties. At that time the head mounting was removed from the original platinum ring and attached to a new more contemporary shank. 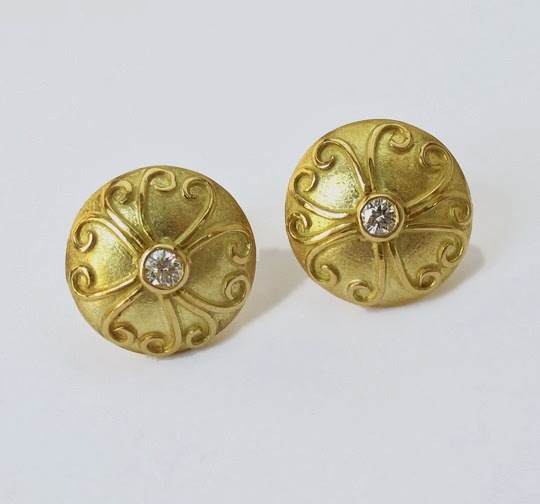 And, unbeknownst to the client, the jeweler had made it in rhodium plated 14 karat yellow gold. It wasn't long before the 'white' wore away. A new platinum shank would have been a better choice. After nearly three decades of everyday wear next to narrow gold band the shank was very misshapen and the stone was loose. The only safe alternative was to completely remake the ring. The client requested that the stone be set low and for the side diamonds to be as narrow as possible, unlike the previous. I made a new setting in wax, identical to the original and made the shank so that the tiny old miner side stones be set closer to the top. 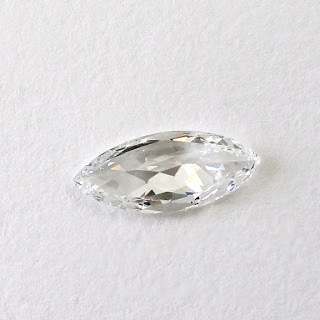 The diamond is eye clean, very white though a bit flat, however relatively large and completely unique. 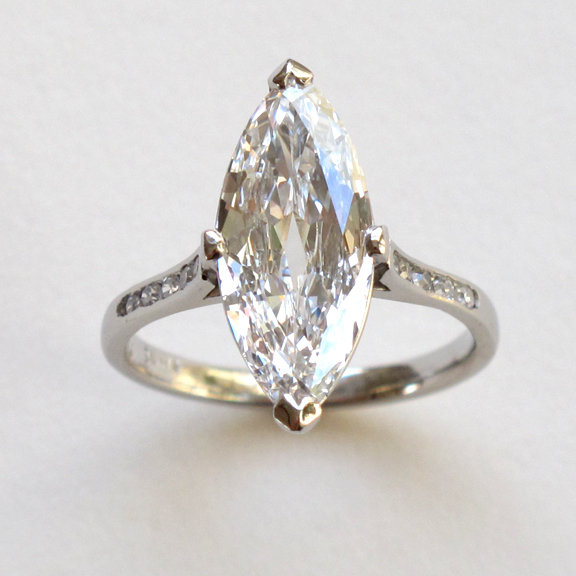 It really is a beautiful stone that has been in one family for nearly one hundred years.